In hopes of clearing up some of the confusion surrounding the proposed First Responder Fee, here is a FAQ information sheet. If you have any questions please feel free to contact us or come to the April 16th AFPD Board of Directors meeting. 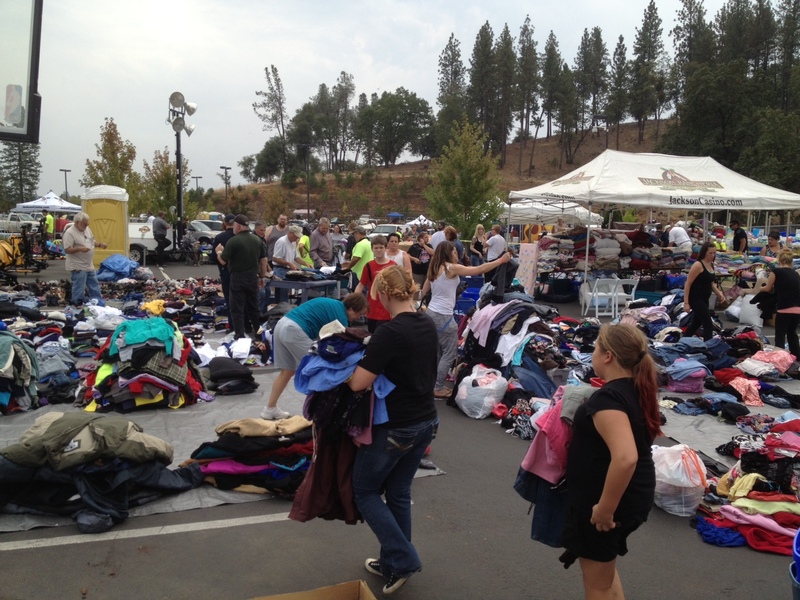 Amador Fire Crews Stationed at Jackson Rancheria Station 116, Lending a helping hand throughout the week sorting through thousands of donations at the Jackson Rancheria Casino parking lot 6 on Dalton Road. They are in need of these items listed below. As we all are well aware, Amador and Calaveras Counties are undergoing one of the largest fires we have had in many years. Amador Fire Protection District is cooperating on the front lines of the Butte fire as well as behind the scene with the American Red Cross and the Jackson Rancheria Casino. Amador Fire Protection District currently has engines and water tenders on the Butte Fire, covering Cal Fire stations as well as protecting our local community with peak staffing at …all district stations. If you have any donations for the evacuees of the Butte fire, they will be gratefully received at Jackson Rancheria Casino parking lot 6 across from the public safety building. If you have any questions, comments or concerns, please feel free to contact your local fire stations. Amador Fire Protection District, our cooperating agencies, Jackson Rancheria, American Red Cross and the victims of the Butte Fire are grateful for the overwhelming support from our communities. The support and hard work that our communities have already accomplished together is truly amazing. Keep up the great work! (Amador County) Canyon View, Fig Tree Lane, and Ponderosa Way; The Town of Pine Grove to include all areas South of Hwy 88 at Ranch Road and East of West Clinton and Easy Bird Road, Sierra Lane, Thadeus Court, Center Street; SR 26 from Hwy 49 to Railroad Flat to include all sides of the street; Jesus Maria from Hwy 26 to Railroad Flat to include all side streets North of Jesus Maria and South to Doster Rd/West Murray Creek Road and East of Hawver Road. (Calaveras County) Communities of Glencoe and Wilseyville; Lower Dorray Road; Jesus Maria from Hwy 26 to Railroad Flat to include all side streets North of Jesus Maria and South to Doster Road/West Murray Creek Road and East of Hawver Road; Ridge Road North to SR 26, Associated Office Road, Woodhouse Mine with Railroad Flat as Eastern Boundary; Hawver Road at Gold Strike East to Doster Road; Whiskey Slide Road North of Mountain Ranch Road to Jesus Maria/Whiskey Slide East to Railroad Flat Road. Evacuation Warnings: (Calaveras County) Town of Mountain Ranch South of Mountain Ranch Road and Alpine areas of Mountain Ranch; Sierra Vista Lookout Road, West Murray Creek Road to Doster Road, Murray Dale Lane (entire road); Leonard Road Subdivision. Road Closures:(Amador County) Clinton Road at Butte Mountain Road (Both Ends) Butte Mountain Road Cutoff at Clinton Road. Amador Lane at Clinton Road, Electra at SR 49, Ponderosa Road at Tabeaud, Access to Lake Tabeaud is closed; Hwy 88 at W. Clinton Road, Hwy 88 at Irish Town Road, Hwy 88 at Tabeaud Road, Hwy 88 at Aqueduct Circle, Highway 88 at Mount Zion. (Calaveras County) SR 26 from Mokelumne Hill to Ridge Road; Ridge Road closed to Railroad Flat Road; Railroad Flat Road closed to Mountain Ranch Road; Mountain Ranch Road closed to Hwy 49; Michel Road is closed. 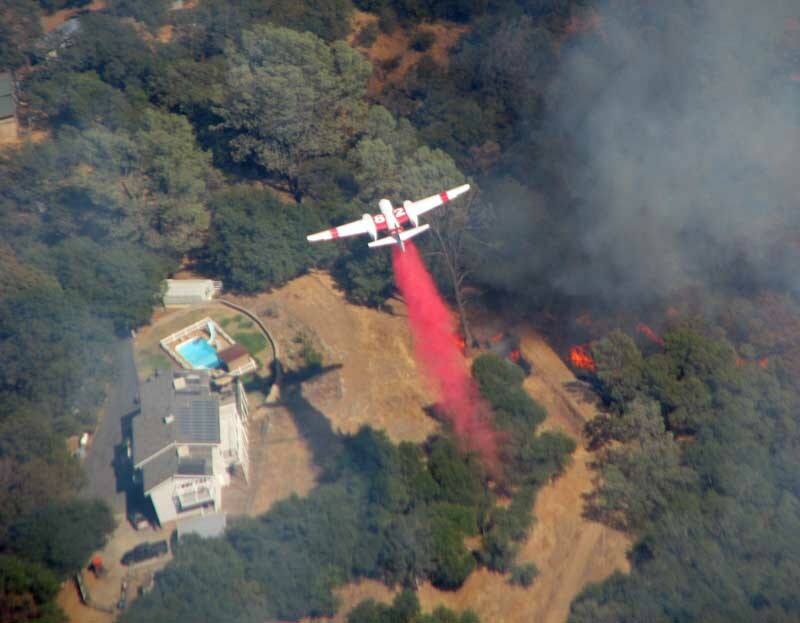 Cooperating Agencies: Cal OES, USFS, BLM, PG&E, CHP, Calaveras County Sheriff, Amador County Sheriff, Calaveras PUD, CDCR, Sutter Creek Fire Department, Red Cross, CAL-TRANS, CA State Parks, Amador Fire Protection District. The Butte Fire affecting the Counties of Amador and Calaveras has burned more than 50,000 acres in the past 48 hours. Due to extreme weather conditions, steep topography, and a historic 4-year drought, the Butte Fire is experiencing unprecedented fire conditions and growth. Amador Fire Protection District is pleased to announce its first annual Breast Cancer Awareness t-shirt. All proceeds from shirt sales will be donated to Amador Stars, a local 501(c)3 organization helping to support victims and survivors of breast cancer as well as their families. During the month of October, Amador Fire personnel will be wearing these shirts to show support for the cause and help bring awareness to breast cancer and its effects on our local community. We hope you join us in celebrating the survivors and give support with us in the fight for the cure. Captain Franck Willis Tremaine of Jackson, CA, passed away suddenly on Saturday, January 10, 2015 at the age of 58. Franck was born in Tracy, CA on March 4, 1956, to the late Joan Carlisle (Willis) and Neil Henry Tremaine. Franck Tremaine was a loving husband, father, uncle, brother, and a leader in our community. Franck was very instrumental in the development of many careers of young, aspiring firefighters. He was the man everyone turned to in their times of need, and was looked upon for his strength. 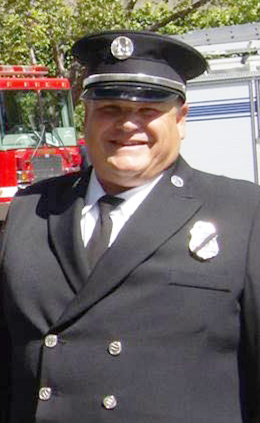 Captain Tremaine selflessly devoted himself to the fire service in California, with over forty years of dedication, and a majority of those as a volunteer. Franck never tired of tending to his son Kyle’s special needs, and we will remember how he always made sure Kyle was fully included in our family and community life. Franck’s gentleness was evident in how he treated everyone he met. He entertained us and loved us. He made us laugh and made us feel secure. He lived a genuine and authentic life, and showed honest goodness, kindness, and concern for others day in and day out. Franck is survived by his wife of 35 years; Geneva Lillie (Bergen) Tremaine, daughter; Sarah Jean (Tremaine) Hart of Valley Springs, CA, son; Kyle Franck Tremaine of Jackson, CA, and three sisters; Cathy Louise Simms of Jackson, CA, Laura Suzeanne Tremaine of Sacramento, CA, and Chris-Anne Tremaine of Fiddletown, CA. Friends are invited to attend a visitation on Thursday, January 15, 2015 from 4:00 – 8:00 P.M. at the Daneri Mortuary Chapel in Jackson, CA., and a celebration of life at The Call, in Pine Grove, CA, on Friday, January 16, 2015, at 11:00 A.M. 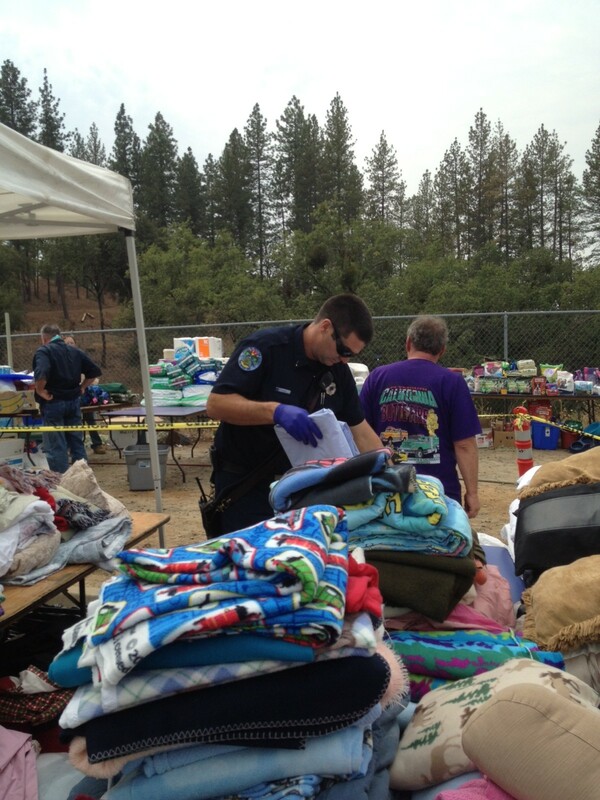 Contributions may be made to the Jackson Fire Department, 33 Broadway, Jackson, CA 95642. Condolences may be sent to the family by visiting www.danerimortuary.com and signing the guest book. An account has been established at American River Bank’s Buckhorn Branch for the victim of last week’s house fire in Pioneer.The victim’s few possessions which survived the fire were subsequently stolen out of a truck in a garage, leaving her with nothing. If you have questions or would like to make a donation to assist the fire victim,, contact the bank, at (209) 295-2265. A house fire in Pioneer on Robin Lane around 5:45 Friday, Jan. 2, injured one woman, whose name has not been released. Arriving firefighters discovered the victim as they arrived to battle the blaze. She had been pulled from the flames by a neighbor. She was transported by ambulance to the Pine Grove Camp and subsequently taken by air ambulance to the UC Davis Burn Center. The home was seriously damaged by the flames and an investigator called in to help determine the cause of the blaze has not yet come up with a cause for the fire. 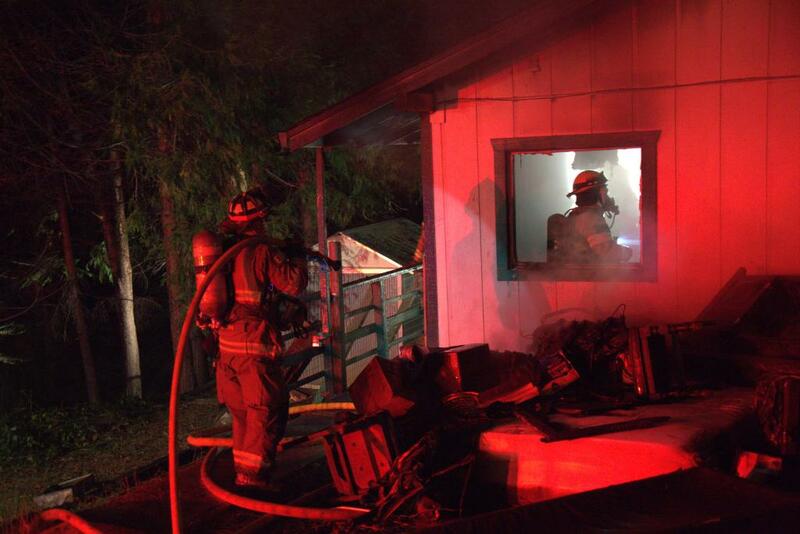 At least sixteen fire personnel from the Amador Fire Protection District, Cal Fire, Sutter Creek Fire Protection District and the City of Ione Fire Department responded to the incident. According to AFPD Chief Ted Jagoda, upon arrival, fire crews found roughly 40 percent of the single-story, single-family house well involved in fire. A combination interior and exterior attack was conducted to attempt to isolate the spread in the home and to protect the neighboring house. The fire did spread to attached wood fencing/ decking and a shed. The neighboring house was successfully protected without any fire damage. Due to the amount of resources committed to the incident, additional staffing was called in to back fill Amador Fire stations to enable response to other emergencies. Amador Fire is still investigating the cause of the fire.